Acclaimed author Warren Adler focuses his laser eye on New York City in these 22 deftly crafted and compelling short stories. New York, the frenetic, tough-minded, generous-hearted city, magnet for people's hopes and aspirations, is as vividly and lovingly portrayed here as any of the characters. As in his celebrated novels, Adler's themes in NEW YORK ECHOES deal primarily with intimate human relationships--the mysterious nature of love and attraction, the fragile bonds between husbands and wives, and parents and children; the divide between generations; the obsessive pursuit of the creative artist and the emotional toll it exacts. In these stories, past memories collide with present realities; with first love comes first betrayal; chance encounters have unexpected consequences; and the devastating impact of 9/11 refuses to fade, wreaking havoc years after the tragedy. 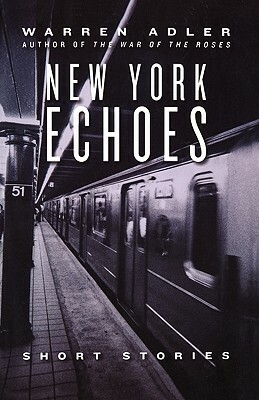 All of the hallmarks of Warren Adler's fiction are everywhere in evidence in NEW YORK ECHOES, in powerful stories that reflect a special understanding of the human condition as seen through the eyes of one of America's most prolific authors. Above all, these radiant tales are a celebration of the short story and of an author's return to his much-loved, dearly missed native city.